Six Italian Air Force Eurofighters will protect Iceland airspace for one month in according to NATO special policy for the nordic region. From March 16 to mid-April 2017 the Italian Air Force is going to deploy six of its Eurofighter Typhoon fighter aircraft and a detachment of approx. 140 personnel to Iceland. The Italian detachment will be based at Keflavik Air Base, Iceland, and fly its fighter jets in support of NATO’s mission that provide Airborne Surveillance and Interception Capabilities to meet Iceland’s Peacetime Preparedness Needs. Since 2008, NATO has conducted this peacetime mission, which is specific and unique to Iceland. The focus of the peacetime preparedness mission is to link up fighter capabilities with Iceland’s air surveillance integrated into NATO’s Integrated Air and Missile Defence System. 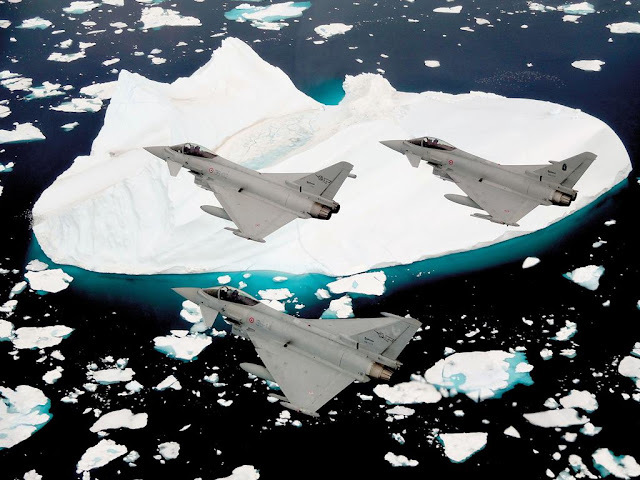 This is the second time after 2013 for the Italian Air Force to execute this mission in Iceland. The deployment underlines NATO’s resolve, commitment and solidarity as well as Allied interoperability and cohesion. Three times a year, Allies deploy fighter aircraft in Iceland for several weeks to ensure the Alliance can conduct full-scale peacetime air policing with minimum delay if required by real world events.